In out, in out then...shake it all about! It's all go at the mo! 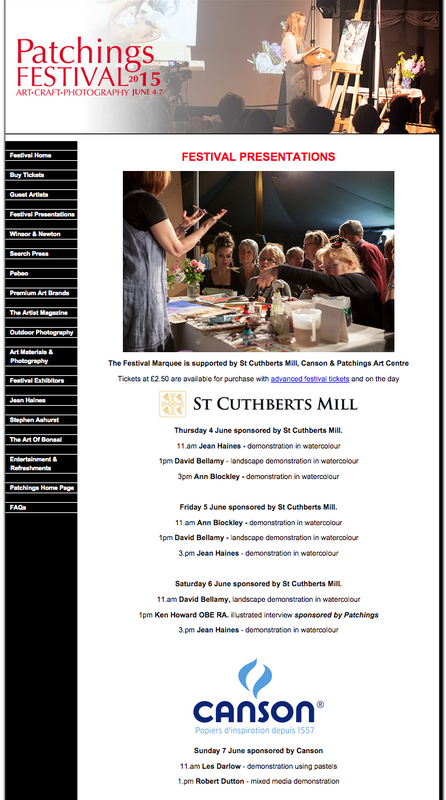 Having just finished 2 successful popular residential art weeks at Rydal Hall teaching mixed media landscape techniques for 2 full classes with a weekend at home between, I'm off again tomorrow to 'Patchings Art, Craft and Photography' Festival 2015 at Calverton near Nottingham for two more days of exciting teaching and demonstrating for 'Canson' papers and 'The Artist' magazine! What an honour! This year Canson have booked the main marquee at this prestigious event which seats well over 200 people for myself and fellow artist and UK Canson Ambassador Les Darlow for demonstrations celebrating the creative possibilities of these great French papers on Sunday 7 June. My own demonstration will be using different black and white mixed media for a landscape subject on a large scale! 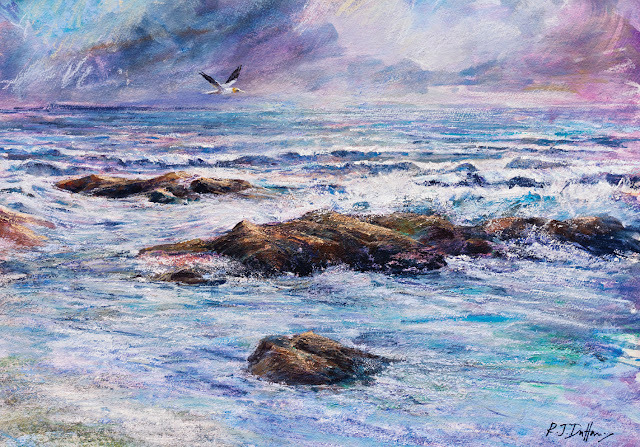 This will be in direct contrast to the previous days full workshops using watercolour and pastel on the fantastic and responsive Moulin du Roy' 300gsm (140lb) high quality 100% rag content watercolour paper for morning and afternoon workshops on Saturday 6 June workshops! I'm really looking forward to that - It's going to be fun teaching everyone just how fab the Canson papers are! It's going to be a fantastic and rewarding weekend for all! Mixed black and white media on Moulin du Roy 300gsm (140lb) 'Rough' 100% rag content watercolour paper. Grab yourself a copy...and a cuppa!